Without continued grounds maintenance and upkeep, even the best designed grounds or gardens can quickly fall into poor condition. Not only does an overgrown frontage look unsightly, but weed-ridden paths or poorly maintained shrubs can swiftly become a hazard. To prevent open space becoming a dangerous, unpleasant eyesore, many homes and businesses in Harpenden, Hertfordshire, are turning to us for effective and affordable commercial landscaping and garden maintenance. We perform the full spectrum of maintenance tasks you would expect from premium grounds maintenance providers. If you’re not sure what needs to be undertaken, we’re happy to provide customised schedules, based on what’s worked for similar establishments we already work with. Many of our customers request our services on a regular basis, ensuring that seasonal tasks such as playground marking and gritting are undertaken when appropriate, as well as other maintenance jobs. 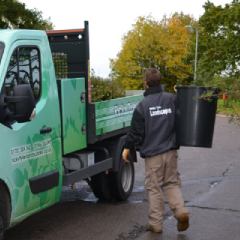 We are aware that when we complete garden maintenance tasks in Harpenden, Hertfordshire, that our team reflect both your organisation and ours when they are on site. We therefore take great trouble to ensure exemplary customer service and safe working at all times, monitored through surprise site visits and continuous adherence to our own strict standards. We work frequently with schools, care homes and other provision for vulnerable groups, so are well aware of the added need for vigilance and keeping users safe whilst we undertake work. In addition to on-going maintenance, we can also work on commercial landscaping projects of varying sizes, providing suggestions for low-maintenance, appealing end results as well as having the capacity to implement ambitious plans and schemes. We work on both new and existing developments in Marshalls Heath, Wheathampstead and the surrounding area, producing spectacular results which ensure that your customers, clients and visitors get an excellent first impression as they approach your premises. 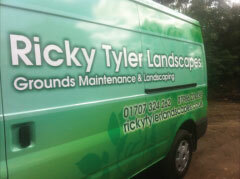 Ricky Tyler Landscapes can provide gardening and grounds maintenance services including Harpenden Grounds Maintenance covering Harpenden, Hertfordshire .